Lecturers at the University of Benin (UNIBEN) are divided over whether to resume work following the expiration of the Federal Government’s ultimatum. Registers were opened at different faculties of public universities. Most of the registers were empty but at the Faculty of Law, some lecturers had signed up. 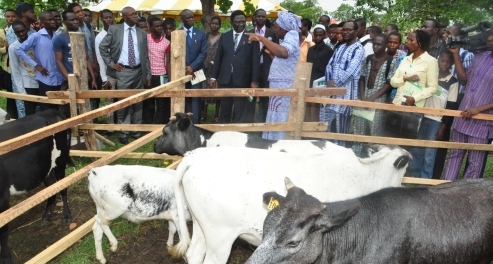 Over 30 lecturers had indicated interest to begin lectures. A near free-for-all was avoided when members of the Academic Staff Union of Universities (ASUU) attempted to stop one Dr. Godspower Ekhobase of the Computer Science Department from taking his students. Sources said Dr. Godspower refused to listen to the union leadership when they asked him to stop and it led to a fracas. The source said when the students moved to join Dr. Godspower, ASUU members led by its Chairman, Dr. Tony Emina-Monye, beat a retreat. Contacted on the telephone, Dr. Monye said the lecturer was violent when they got to the lecture hall. Dr. Monye said a former chairman of ASUU was gripped on the shirt by Dr. Godspower before the students made their move. Dr. Monye said: “We are disregarding the ultimatum and threat of sack by the Government. We are still on strike and none of our members has signed any register to resume work. We will continue with the strike until otherwise directed by the union’s national secretariat of the union. The Ibadan Zone of ASUU comprising the Olabisi Onabanjo University (OOU), Ago – Iwoye, University of Ibadan, University of Lagos, Lagos State University, Federal University of Agriculture, Abeokuta and Tai Solarin University of Education, Ijagun, again defied the Government’s directive to resume yesterday. Also, students, who had been away for over five months, failed to return, indicating that they were convinced their lecturers would not budge until the government met their demands. At the Federal University of Agriculture, Abeokuta and the Olabisi Onabanjo University, Ago-Iwoye, classrooms, hostels and the libraries were deserted. At FUNAAB, the ASUU Chairman, Dr Abiodun Badmus, told reporters that the government’s order amounted to an “empty threat and of no effect. 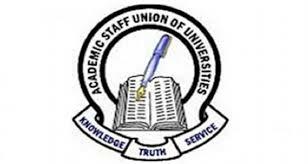 Also, Dr Adesola Nassir, restated the resolve of the Ibadan Zone of ASUU to remain on strike.